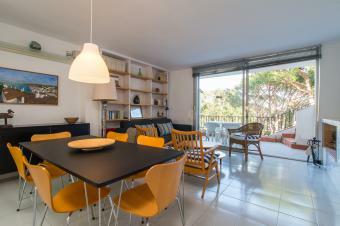 Nice townhouse with capacity for 6 persons located in the community Calella Park II, 700 meters from the beach and the center of Calella de Palafrugell, Costa Brava. The house is distributed in 3 floors (main floor, floor -1 and floor -2). The main entrance of the house is located at street level and leads to the kitchen and the living room with exit to the terrace. On the terrace there there are some stairs which lead you to another terrace/ solarium.Going down the stairs from the living room we find 4 bedrooms (2 doubles and 2 singles) and 2 full bathrooms. On the ground floor, in the basement, we find on one hand the private garage and on the other hand the private garden with direct access to the communal area. 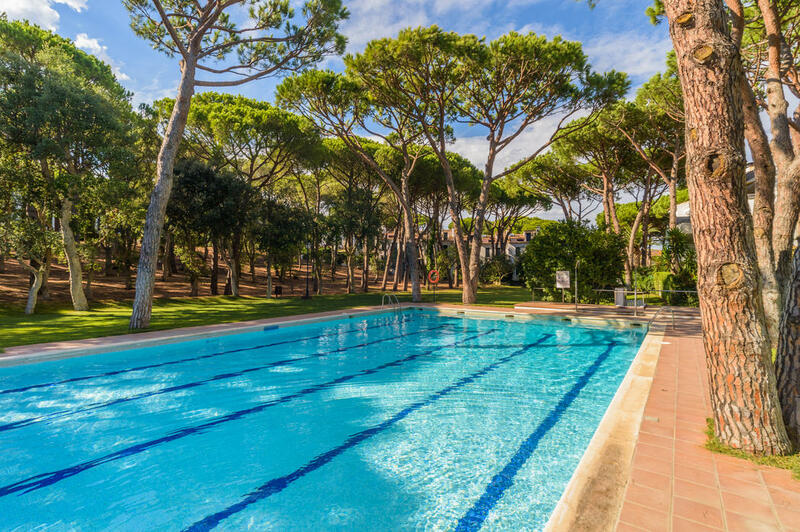 The community has 2 swimming pools and a large plot. For any doubt regarding this property, do not hesitate to contact us.